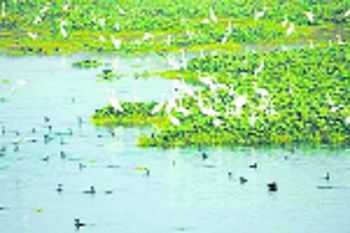 The Punjab Government has told the High Court that it has prepared an action plan for the preservation of wetlands in the state and the same was in the process of being implemented. As a suo motu or “court on its own motion” case against the Union of India and another respondent came up for resumed hearing, the HC also called for a “fresh status report” on progress made for the implementation of the action plan. A Division Bench of Chief Justice Krishna Murari and Justice Arun Palli also took on record a status report filed by the state. Taking up the matter, the Bench asserted that it had been brought to its notice that the validity of the Wetlands (Conservation and Maintenance) Rules, 2017, was under challenge before the apex court. The Bench added that it deemed it appropriate to await the outcome of the proceedings pending before the SC before directing the listing of the matter after three months. Taking up a related petition alleging unauthorised constructions in and around the Harike wildlife sanctuary in Punjab, the HC had earlier put the Union Ministry of Environment and Forests and Punjab on notice. The rules prohibit a range of activities in wetlands such as setting up and expansion of industries, waste dumping and discharge of effluents. The prohibited activities include any kind of encroachment, setting up of industry and solid waste dumping.